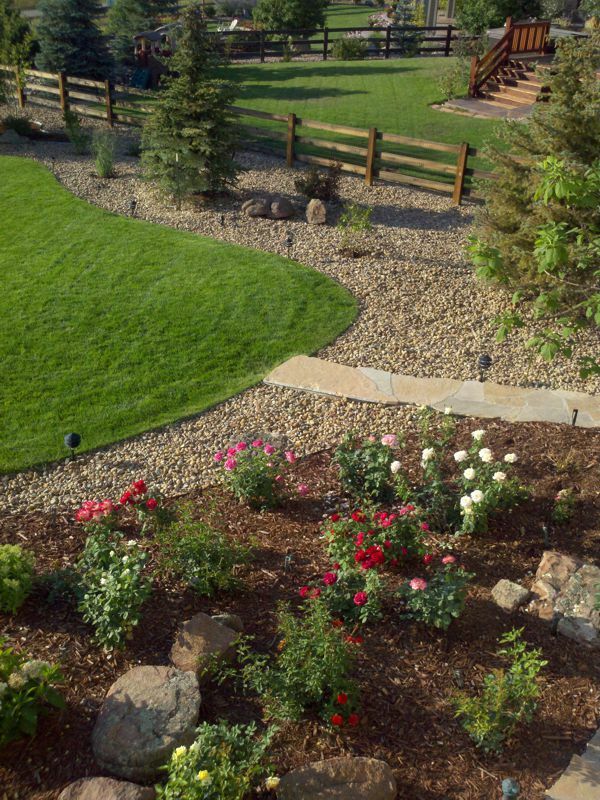 Dail & Son Landscaping is dedicated to become your "one stop shop" for all your current and future landscape projects. 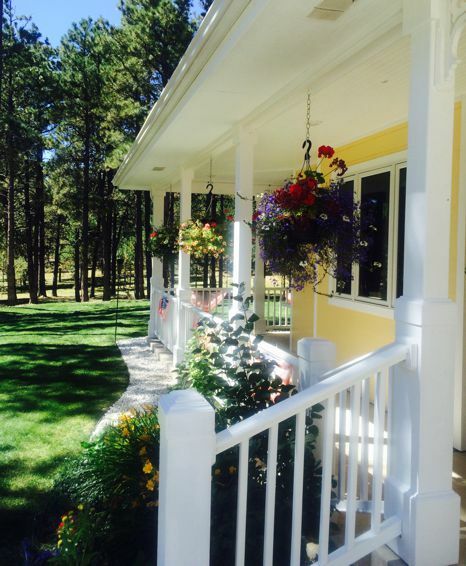 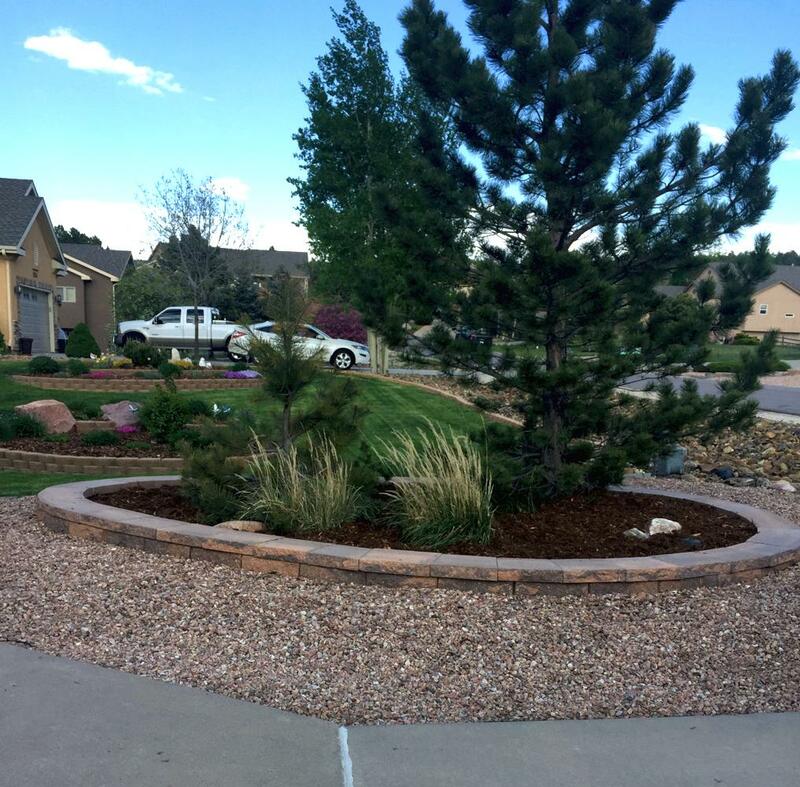 Your landscape is the face your home presents to the public. 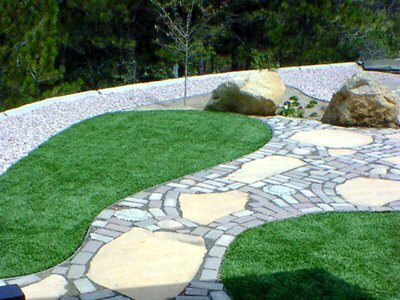 It evokes a mood and makes a statement-using shape and color, foliage and flowers, water and stone to welcome visitors. 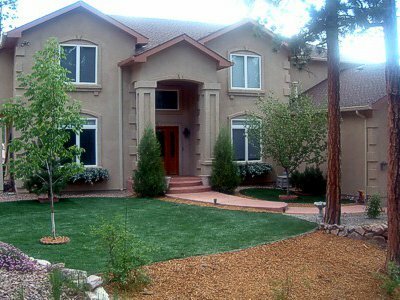 It can impress visitors or buyers if you want to sell. 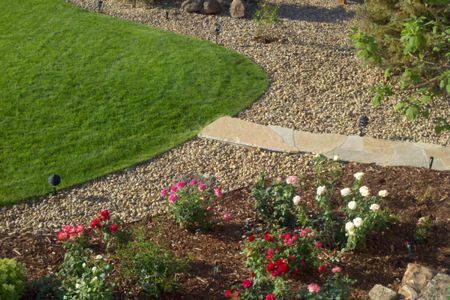 Home owners in turn get a little piece of heaven on earth. For over a decade now, we have been working with many of the most prominent land developers, home builders, and landscape architects to create beautiful landscape environments. 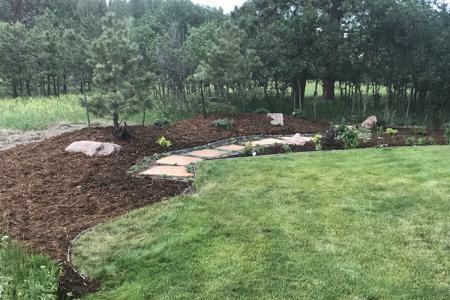 Many of today's landscapes include the elements of outdoor lighting, water features, decks, gazebos, stone or brick walkways, stone patios, raised planters, irrigation systems and the like. 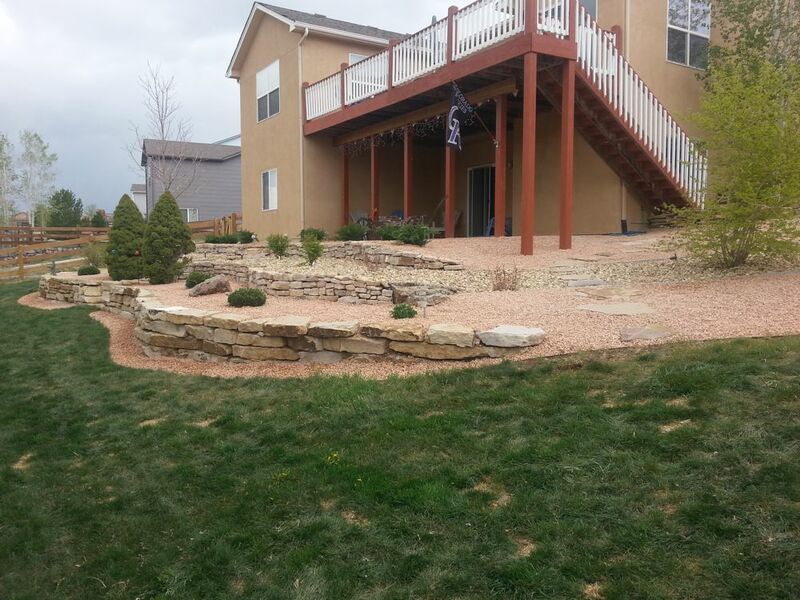 Dail & Son Landscaping has unlimited landscape construction capabilities. 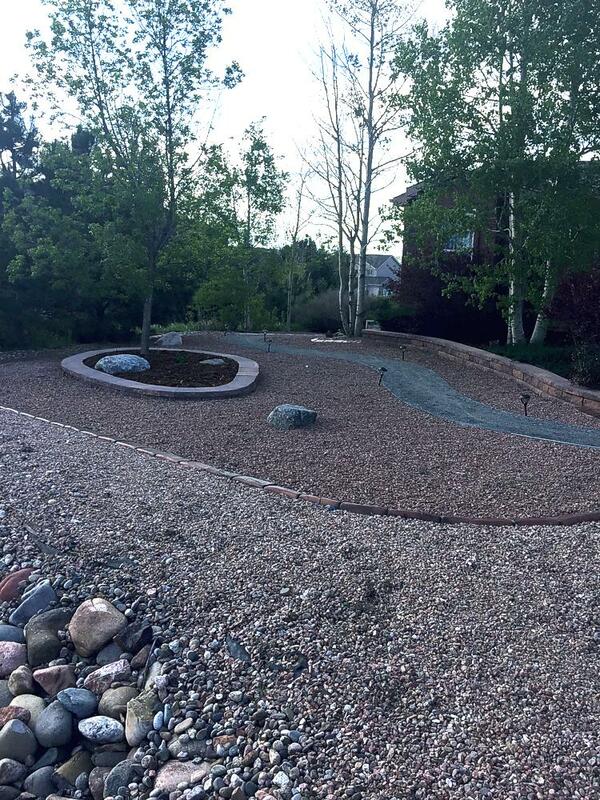 We take great pride in the craftsmanship our crews employ in our landscape construction projects. 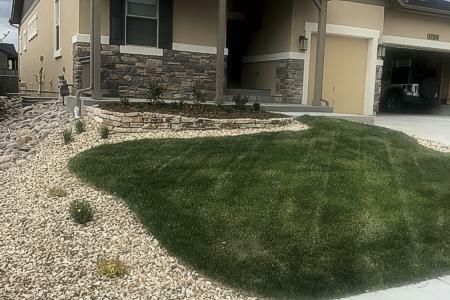 This has resulted in our excellent reputation for providing the highest quality products and services. 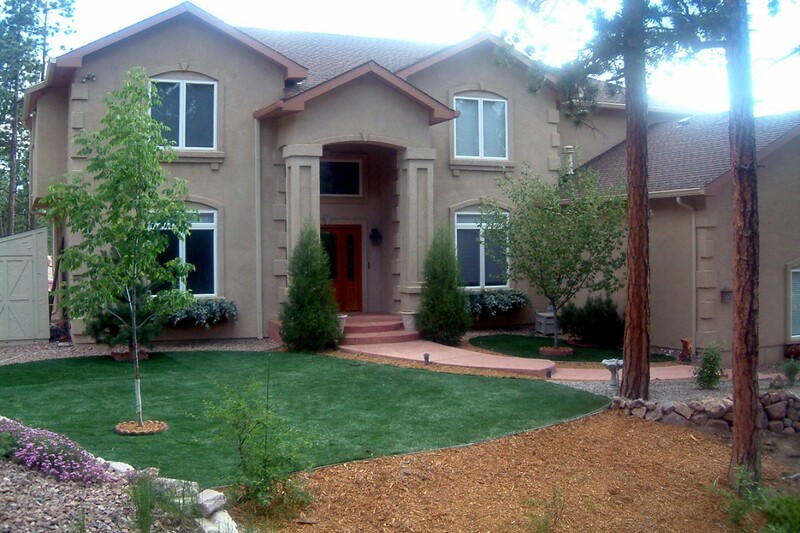 Dail & Son Landscaping projects have won numerous awards for our creative designs and outstanding workmanship. 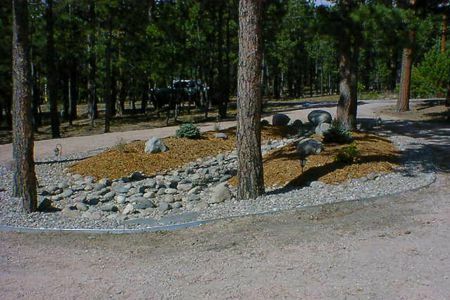 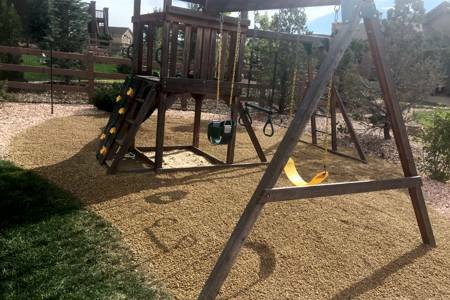 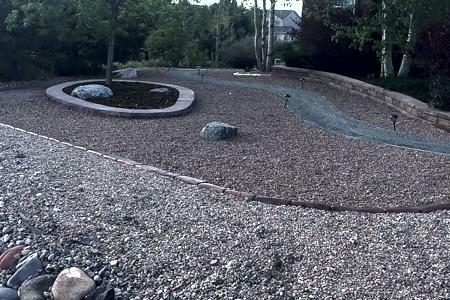 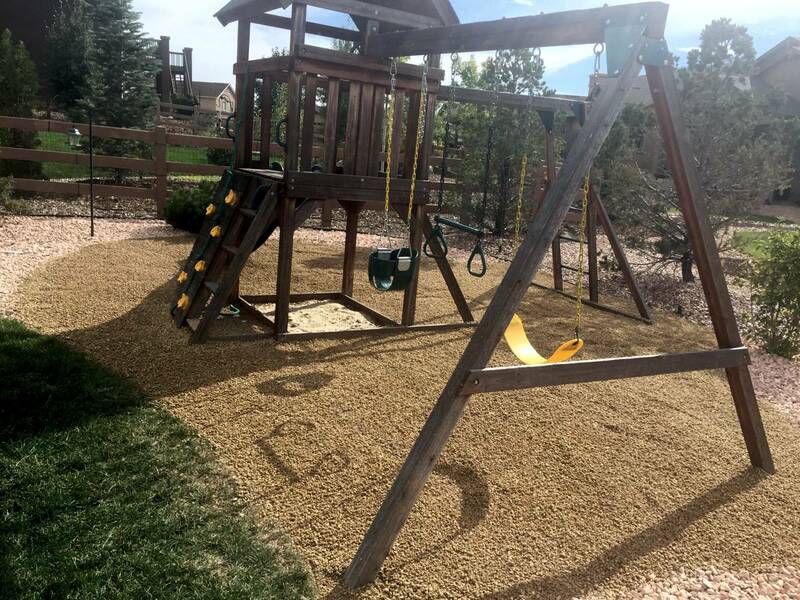 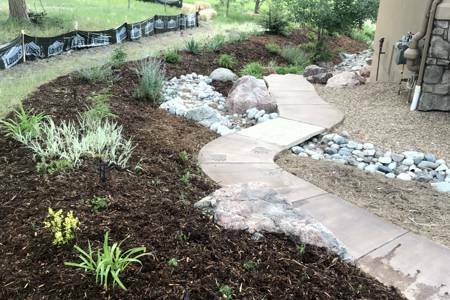 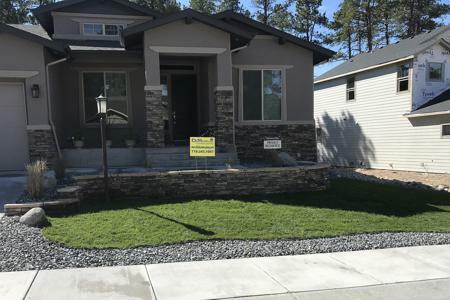 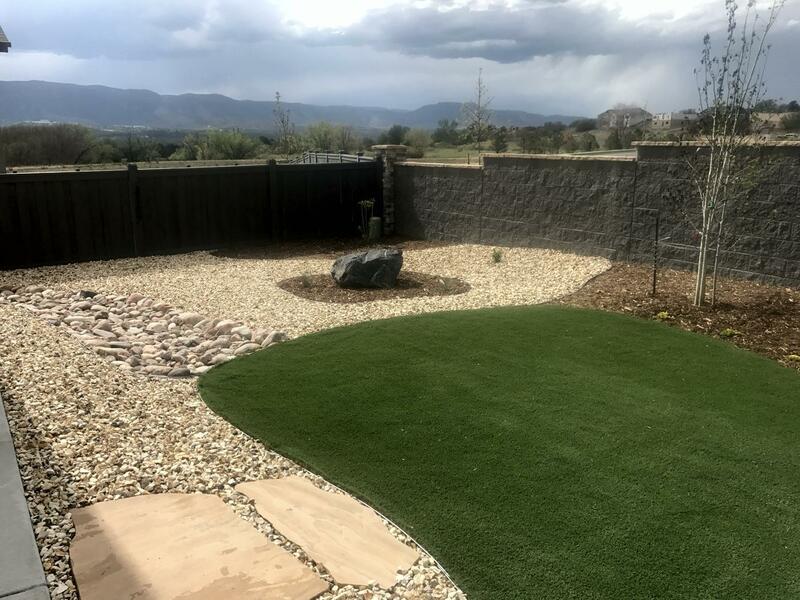 Landscaping Monument Colorado: Agile Boulder retaining wall to enlarge an area for irrigated sod for the kids to play on. 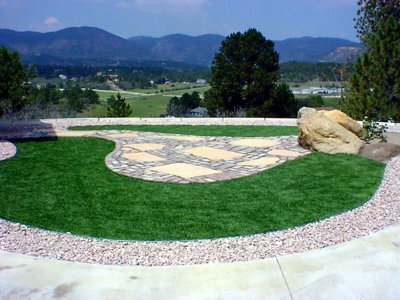 This was a Monument landscape. 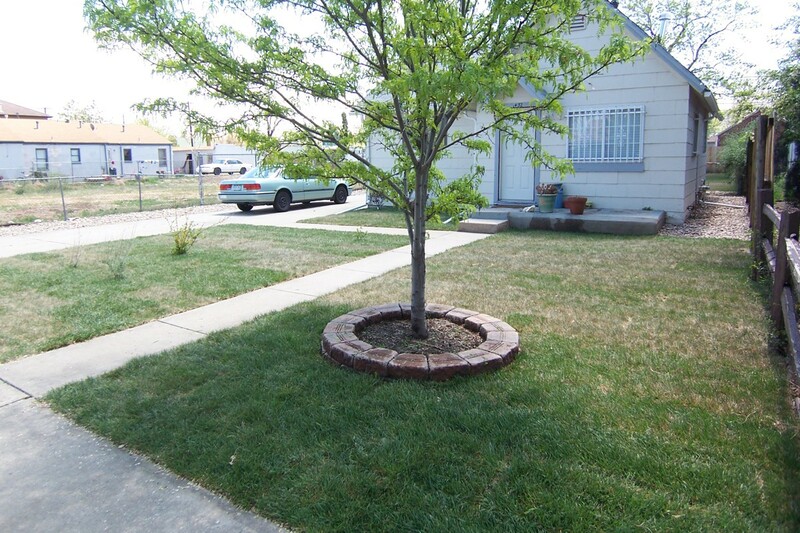 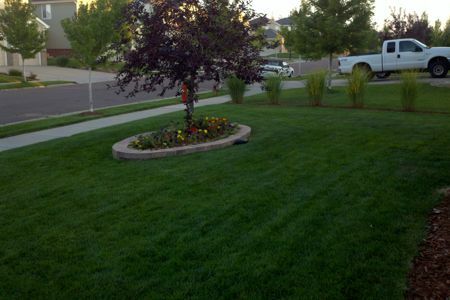 This is a front yard in Monument that had dead grass and no curb appeal. 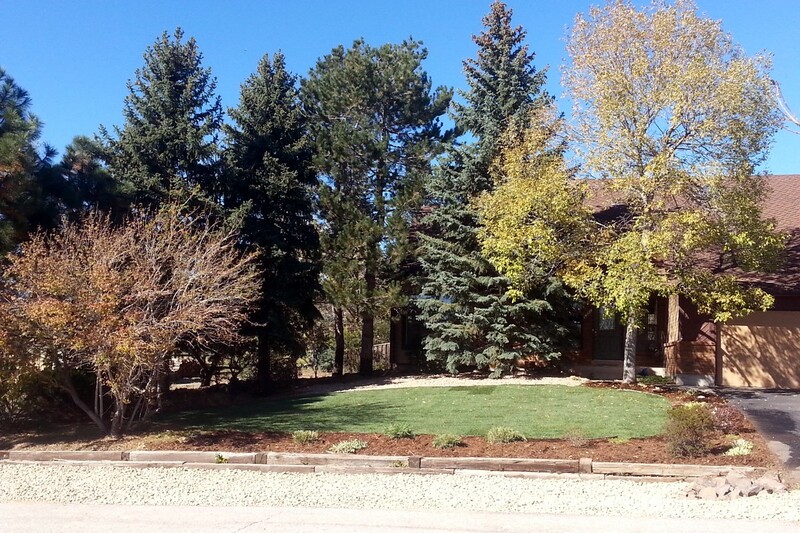 We removed all the dead grass, installed a new irrigation system and then new sod. 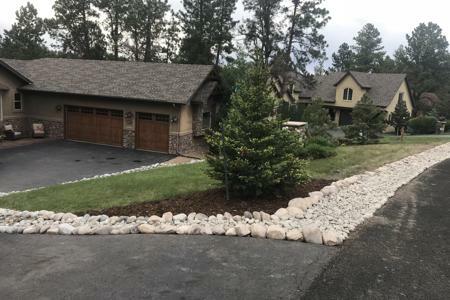 The drainage along the road was also for parking extra cars. 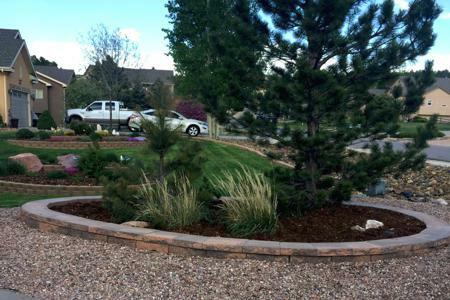 The Monument Landscaping created a warmer touch and more curb appeal. This monument Landscaping had a bare back yard, dust and mud was year round. 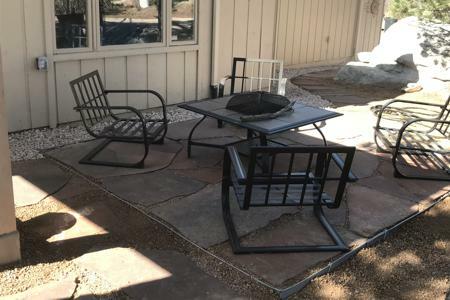 The patio couldn't be enjoyed, until we arrived. 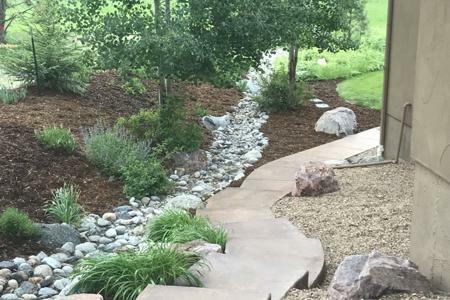 A simple yet elegant Monument Landscape turned this backyard into their own oasis. 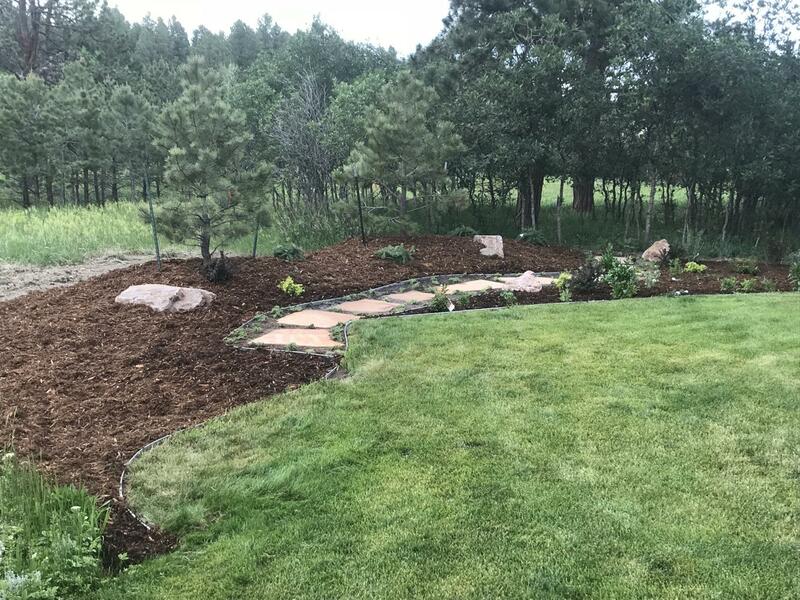 Irrigated sod, raised flower beds and vegetation, allowed this client to enjoy the evenings on their patio. Segmental retaining wall, for the flower bed in Monument Colorado. This is a block wall made from Pavestone "terracotta" blocks. 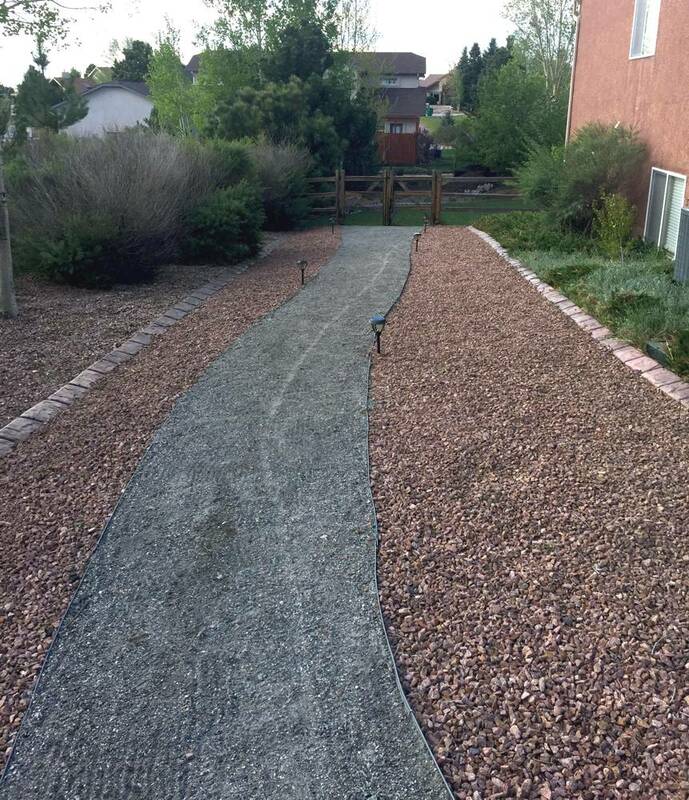 this was to replace the rotten rail road tie wall and not harm the vegetation. 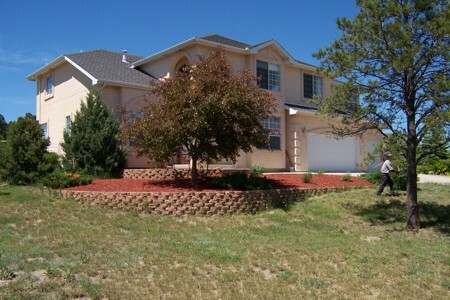 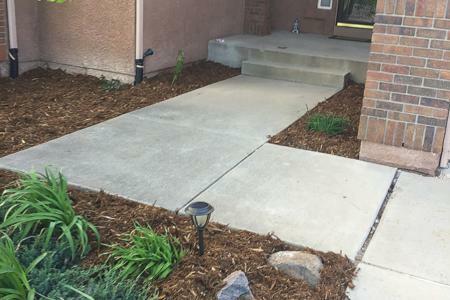 We used "Harvest Red" mulch to contrast with the rest of the home. 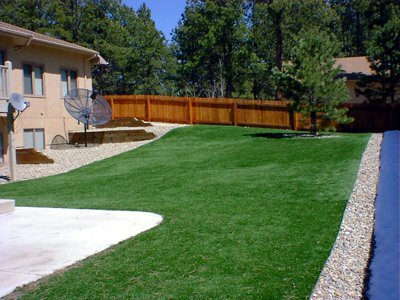 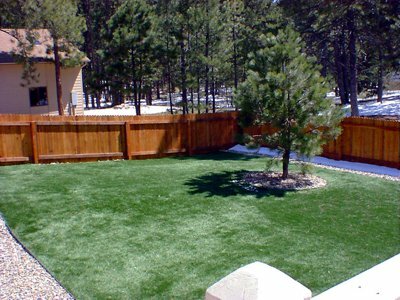 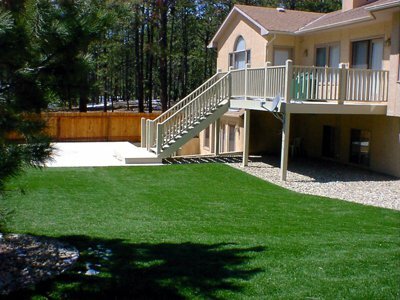 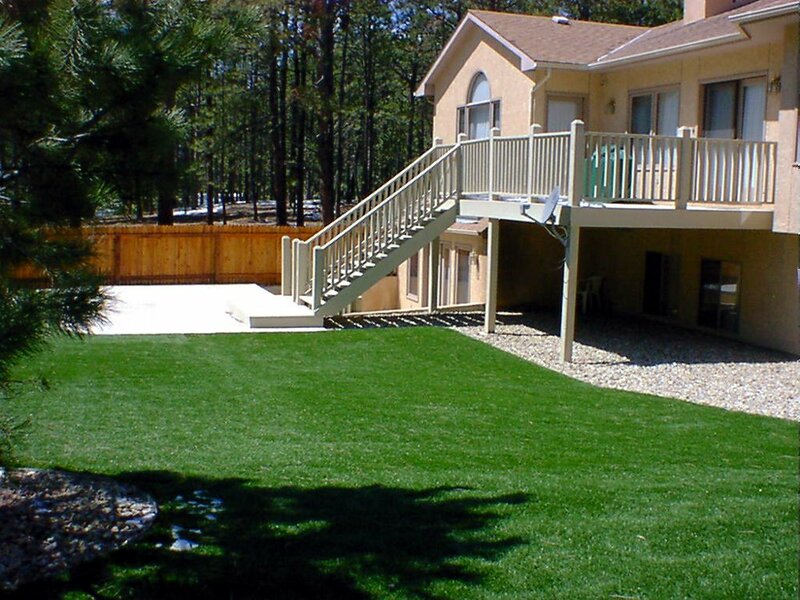 This Landscape has irrigated sod installed up to the patio. 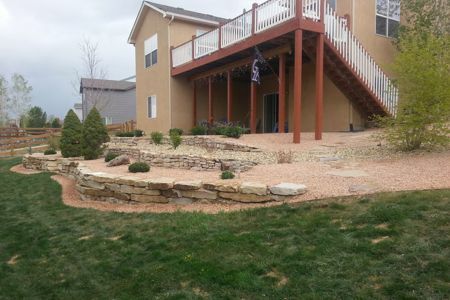 The outdoor lighting allows for soft accent lighting in the evening hours. 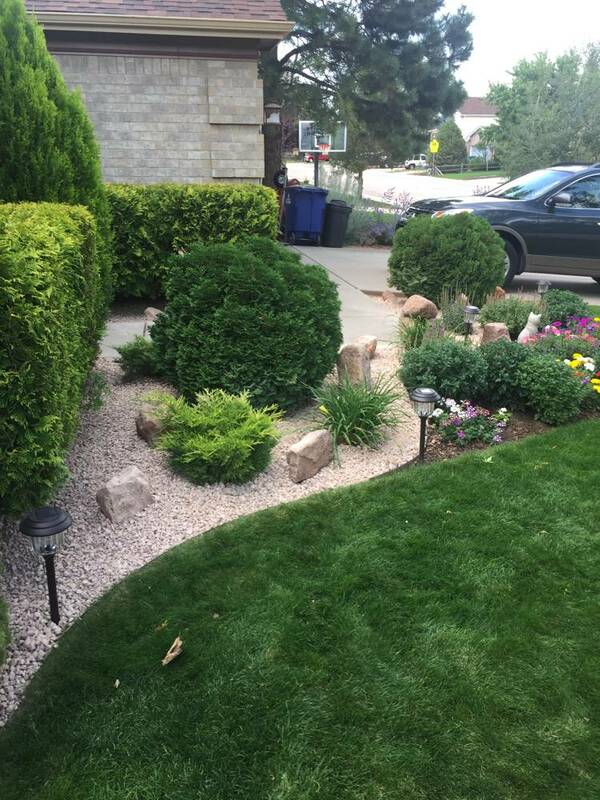 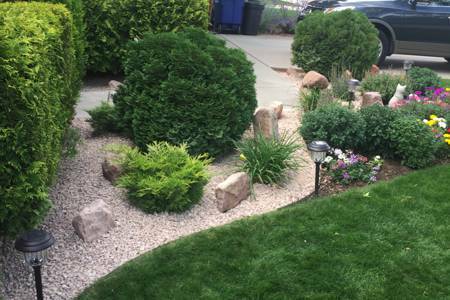 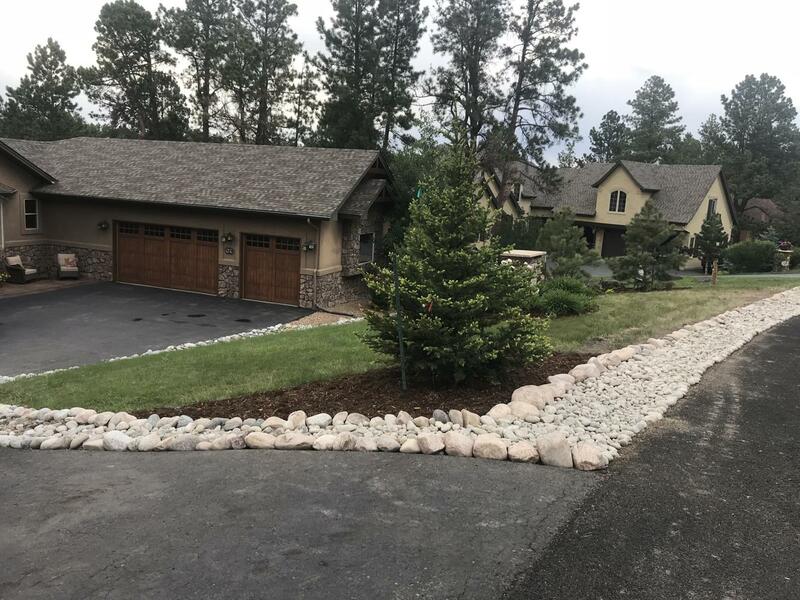 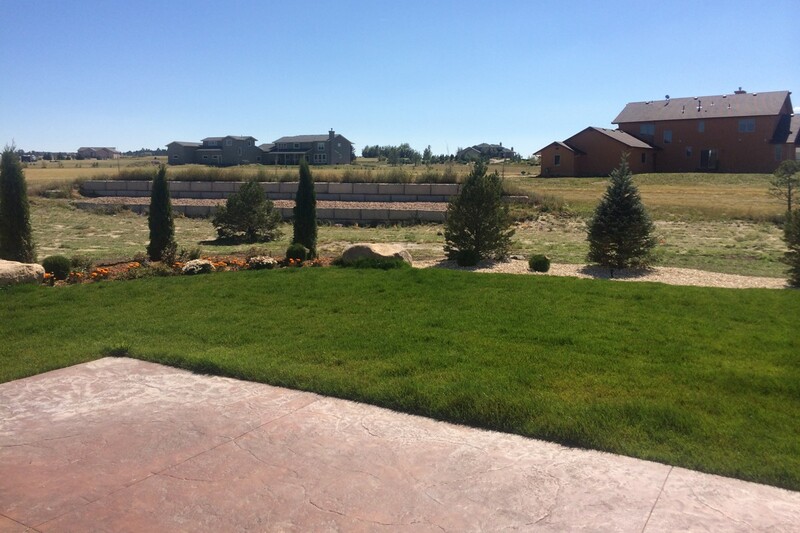 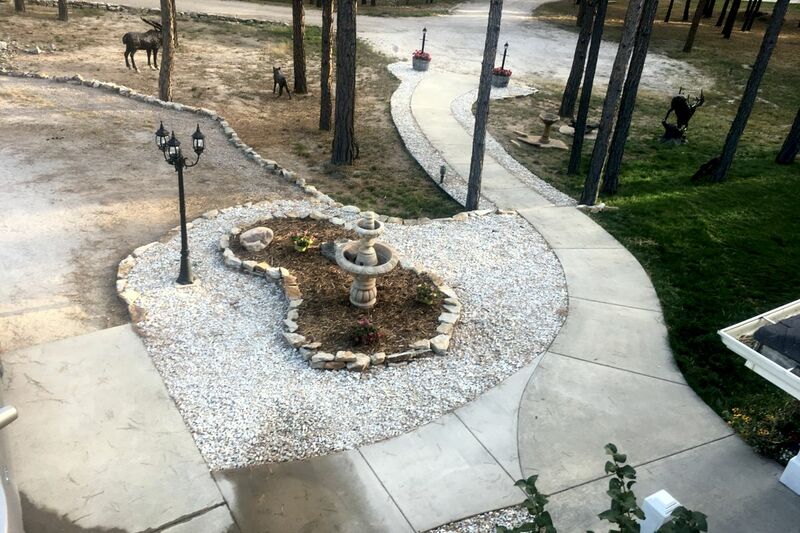 The outer rock area is to separate the "manicured" yard from the "un-manicured" area and with drip irrigation all the way through, this client can grow there vegetation from year to year. 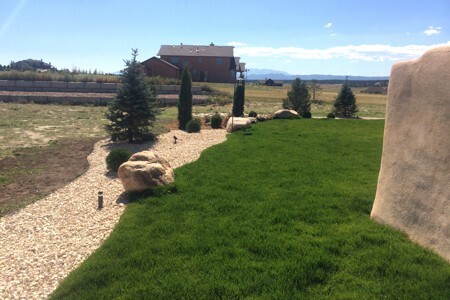 Colorado Landscaping: This is a simple Colorado Landscape. 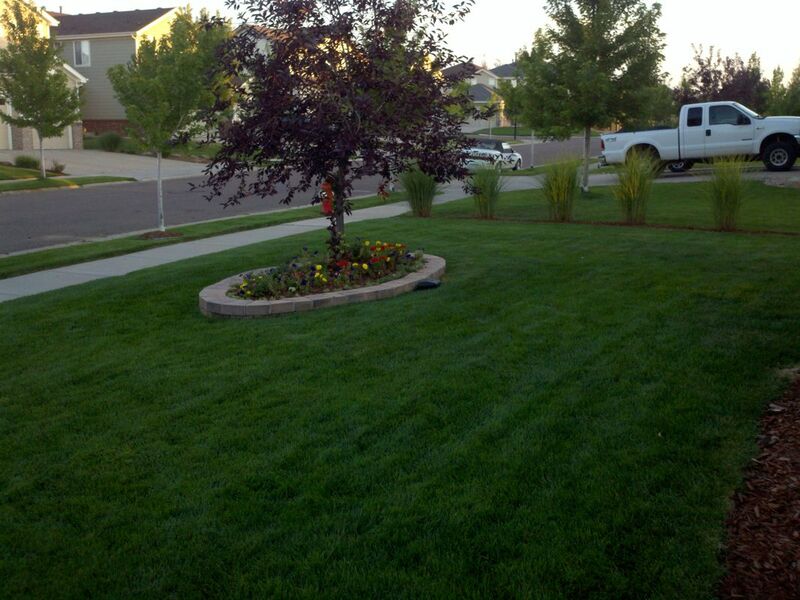 The grass was dethatched, fertilized and the irrigation system was repaired to operate properly. 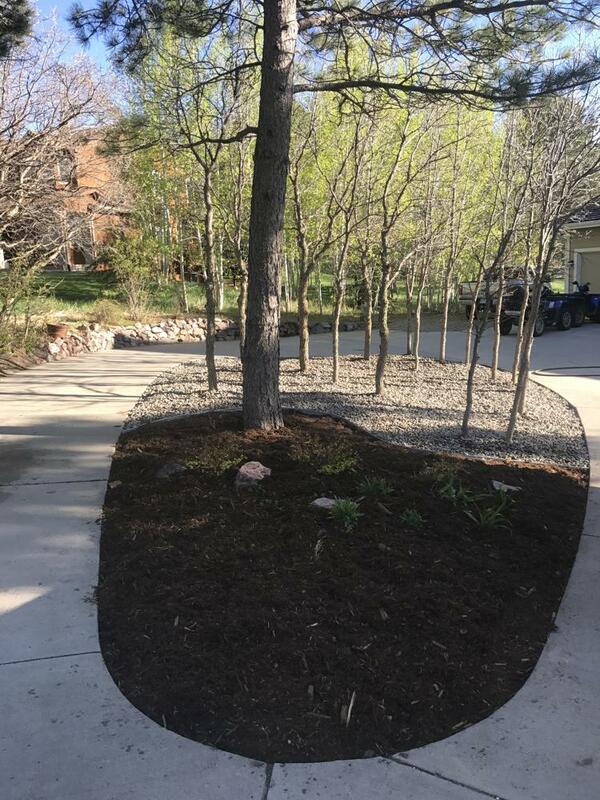 The block around the front tree was to add something simple and keep the maintenance company from hitting the lower portion of the tree. 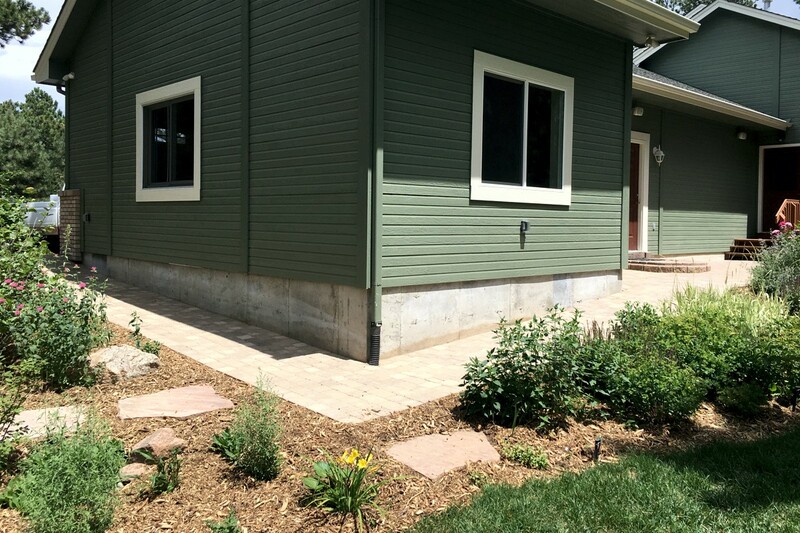 The patio outside the door was enlarged using a segmental Allan Block product with cap stones. 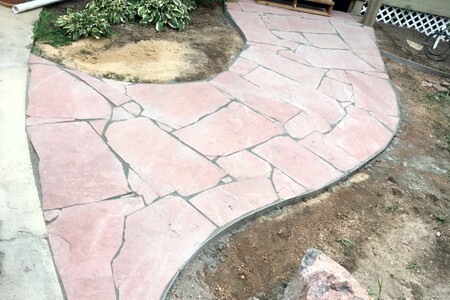 The patio is Arizona Buff flagstone with Enviro-Bond sand as the grout. 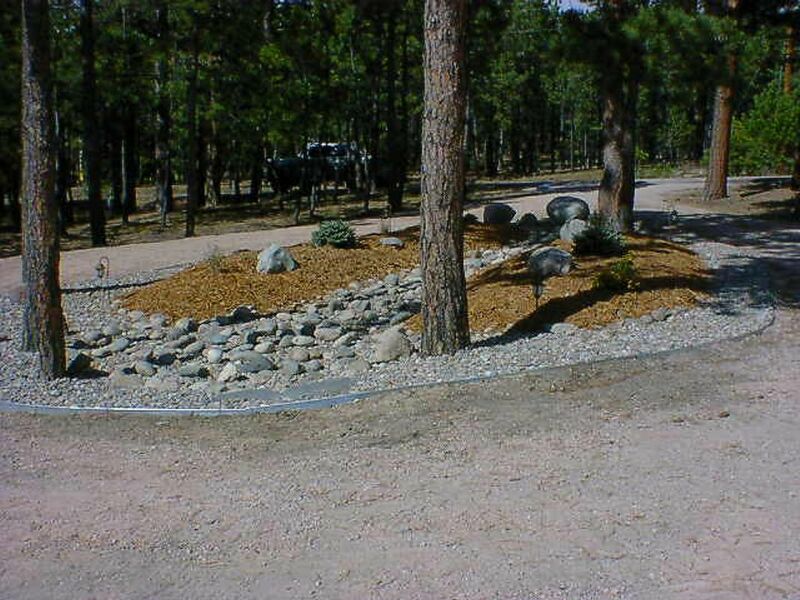 The erosion blanket has a low grow grass seed mix underneath it. The bio-degrade blanket allows the grass to sprout up while keeping the Monument Erosion down. 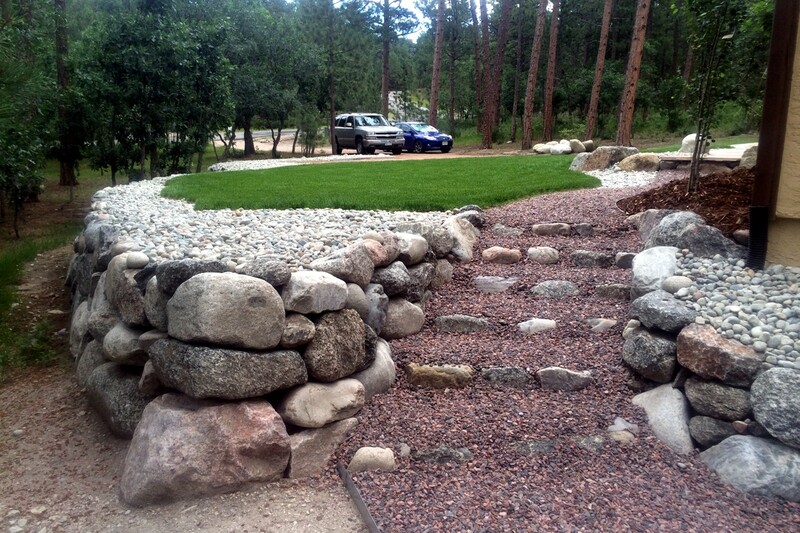 Sloam stone retaining walls were installed to enable us to create tiers in the back yard. 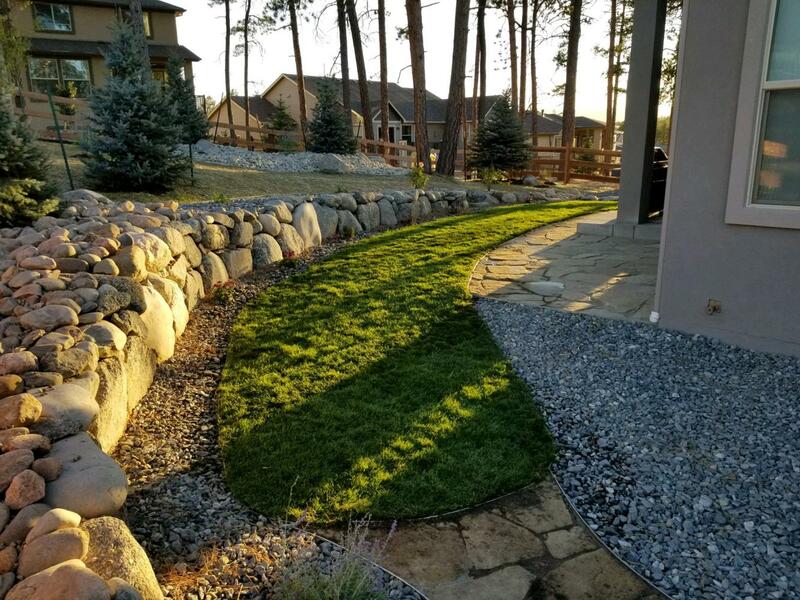 The Sloam stone retaining wall allowed an elegant look and feel while still making the yard look and appear more natural. 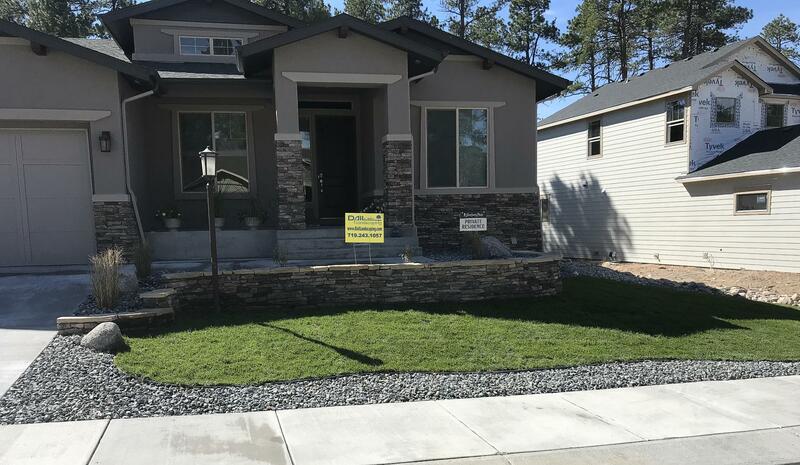 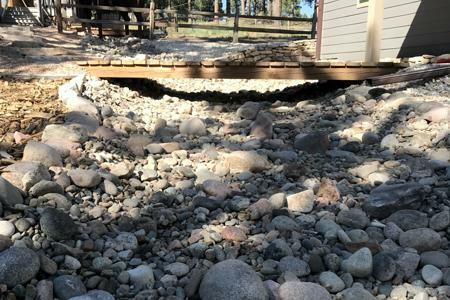 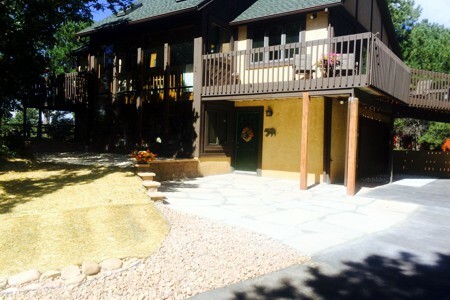 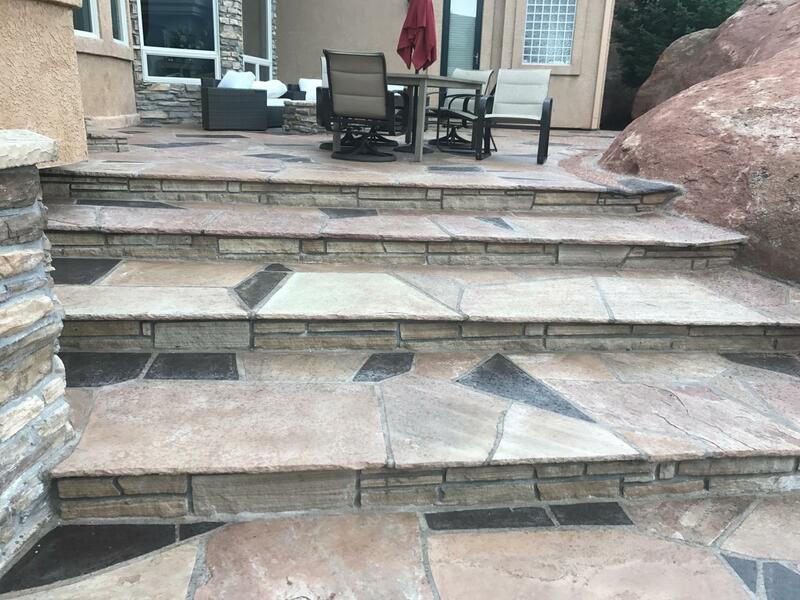 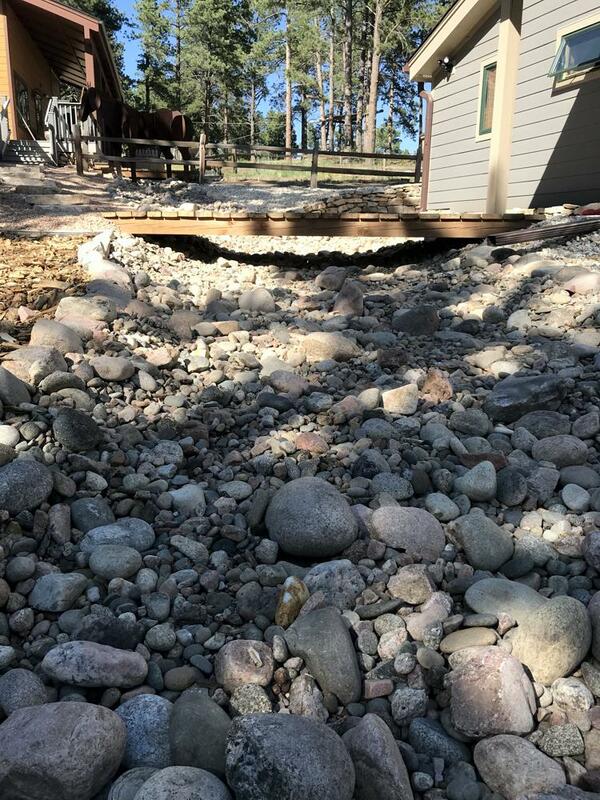 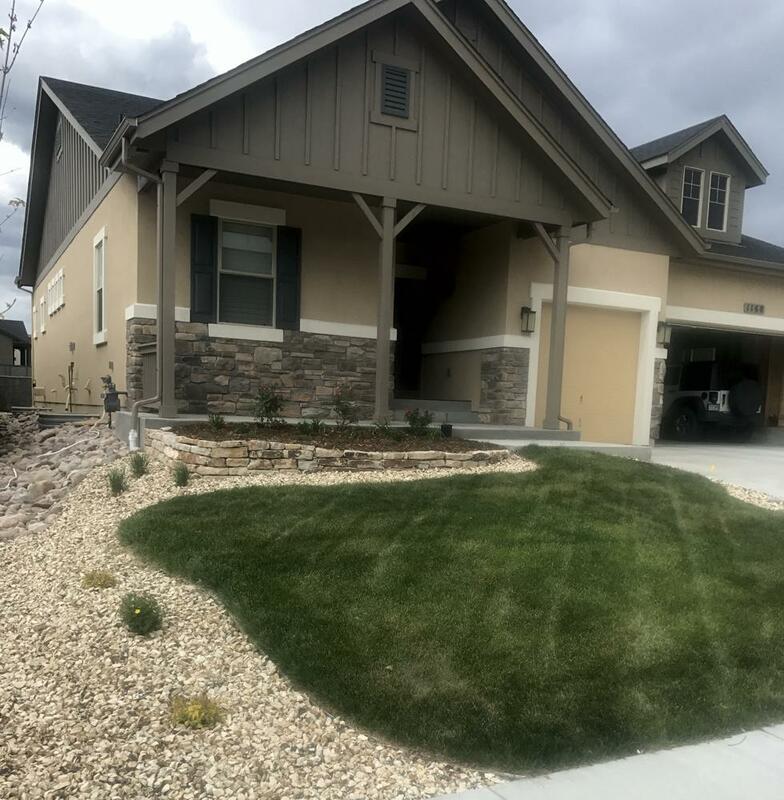 The stairs were installed to allow access to the lower portion of the yard as well as a more natural and stable option with under-rock irrigation system. 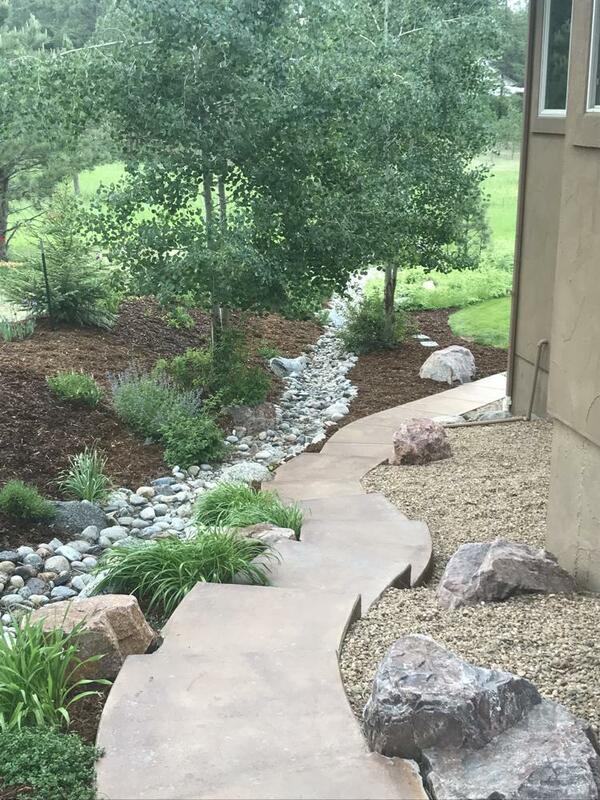 This Sloam stone retaining wall tapers at the end to allow water to not get built up behind the wall and allow "hydrostatic pressure". 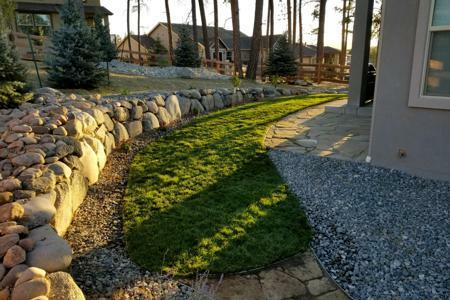 This Sloam stone retaining wall has relief ports built in behind the wall to allow water to go into drainage pipes and come out below the retaining walls. 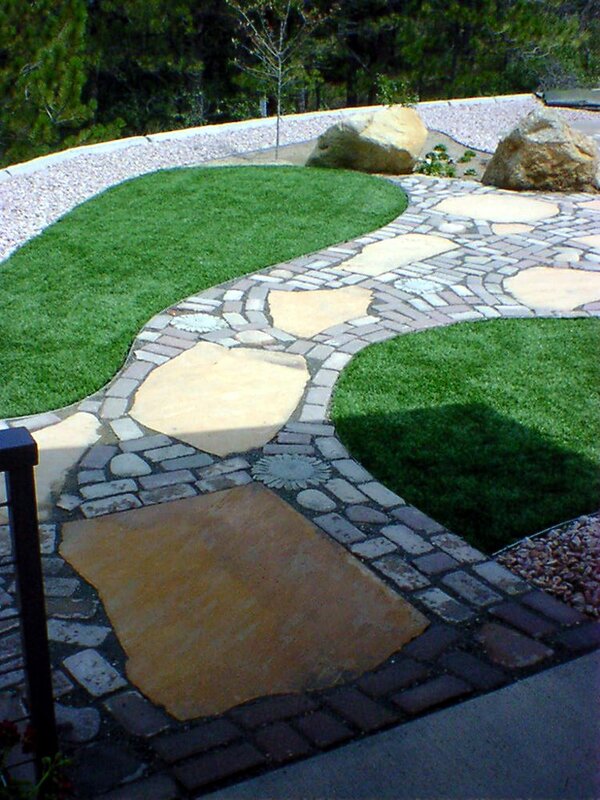 Rock along the bottom allows maintenance to mow the back yard without having to be too close to the retaining wall. 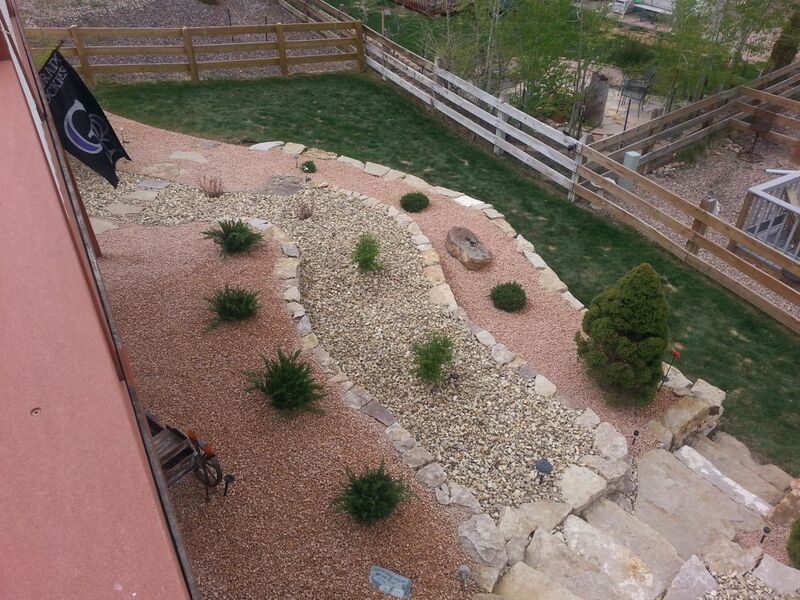 The Sloam stone retaining wall from the air perspective shows what a tiered back yard landscape could be. 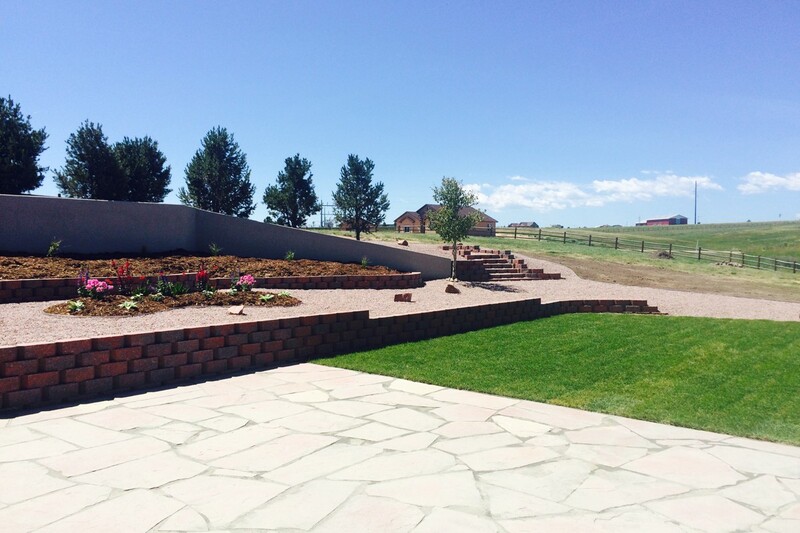 Because of the Monument winds, we chose to use rock on this project. 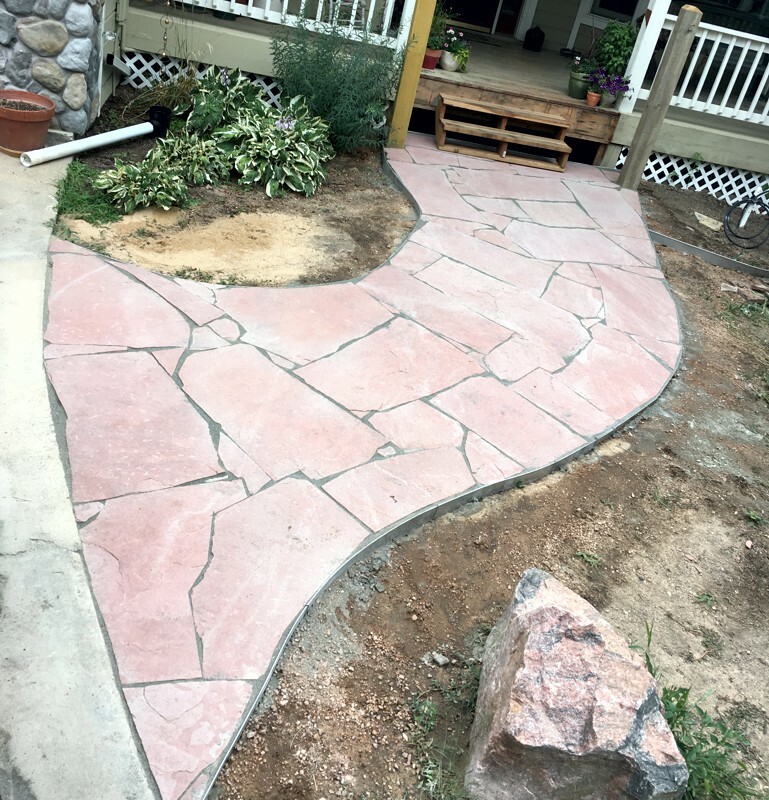 Splitting up the colors of rock, made the back yard not look like a rock quarry. 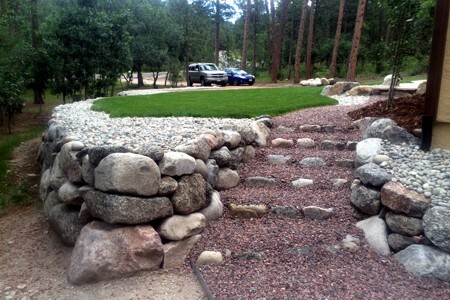 The Sloam stone steps allow access to the lower portion of the yard and yet are stable. 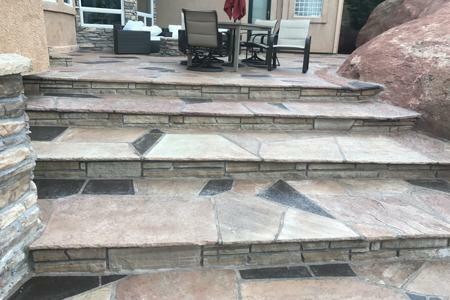 Outdoor lighting aluminates the stairs in the evening time. 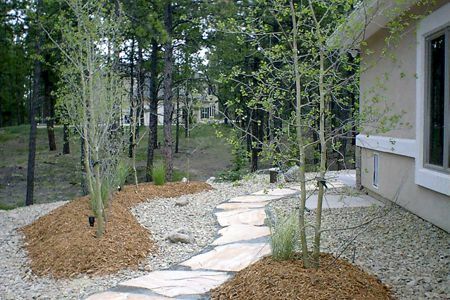 Landscaping was to create an elegant visual from sitting inside the reading area while also taking into consideration of the water run from the driveway. 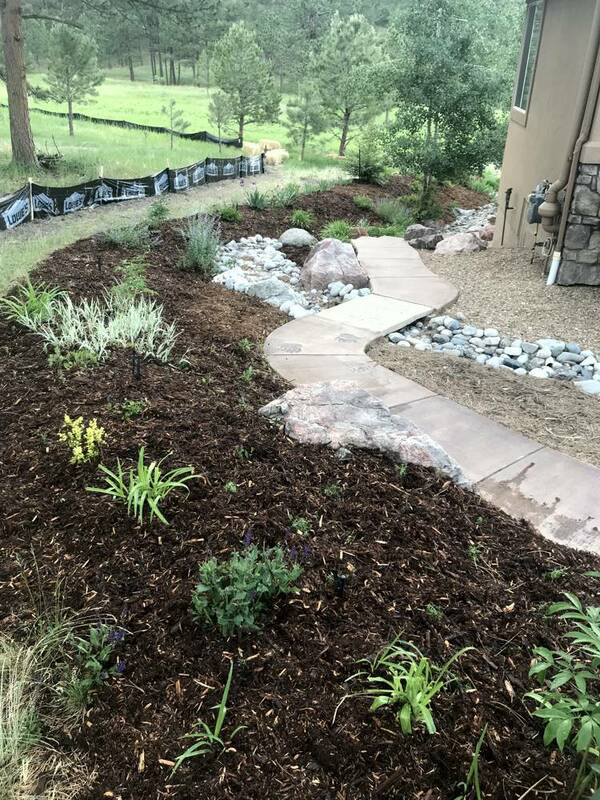 The Pavestone red block acted as a border from the driveway to the landscape all while the "Gorilla Hair" cedar mulch was installed to soften the look. 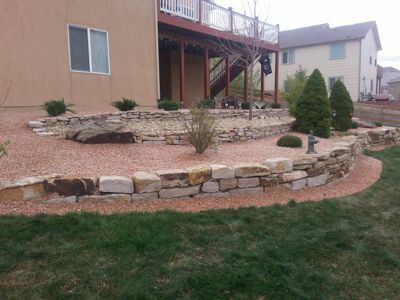 The white quartz rock with under the rock drip system created an elegant feeling. 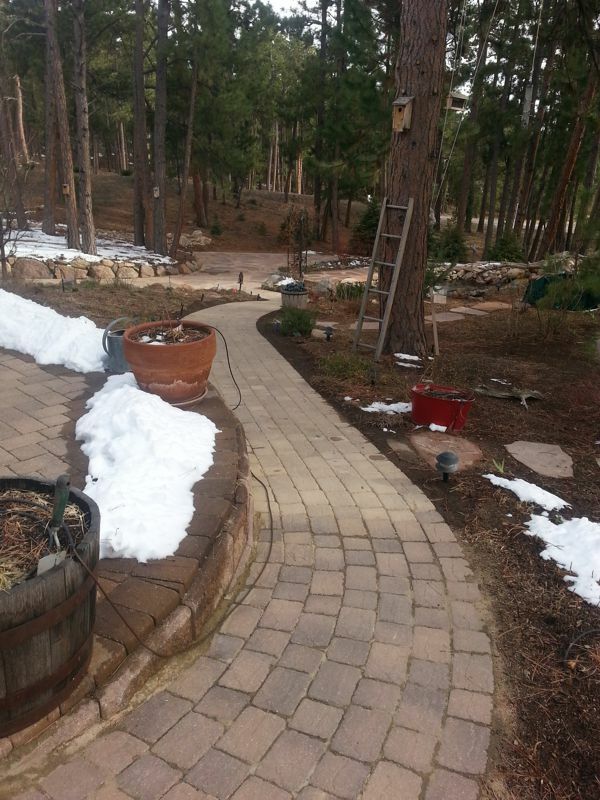 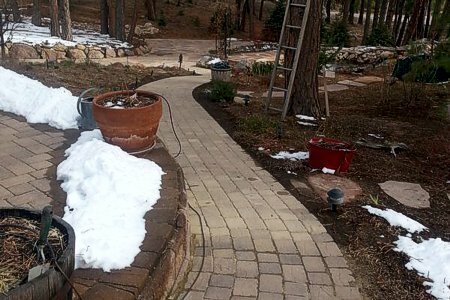 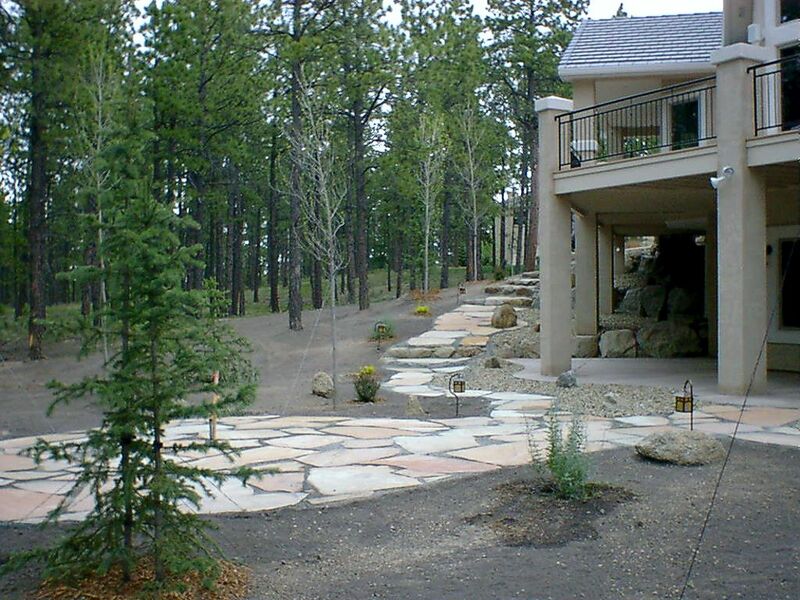 The landscape was a walk way that eliminated a flagstone walkway that had cement installed as the grout. 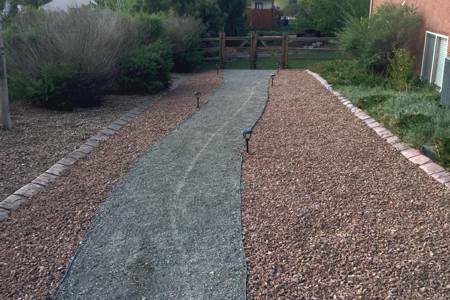 The cement was cracked and chipped and allowed weeds to penetrate everywhere. 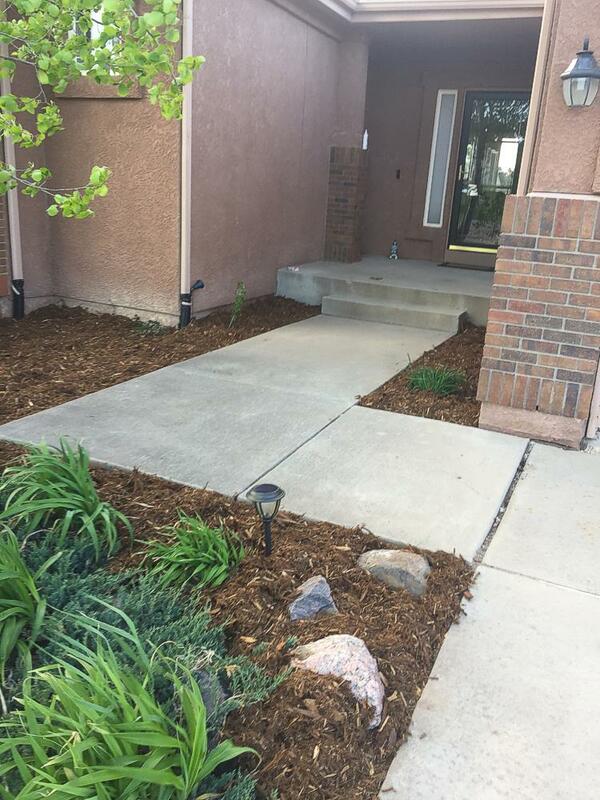 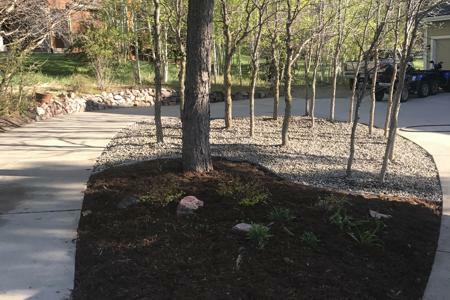 The Allan block paver system was installed to match the existing newer patio that was installed, eliminate the weeds and be at such a slight slope that it was easy to walk and allow access to the lower landscape. 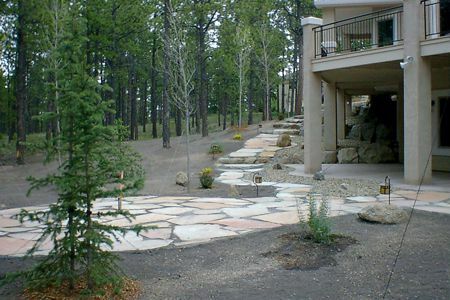 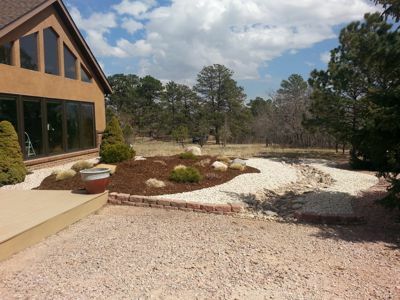 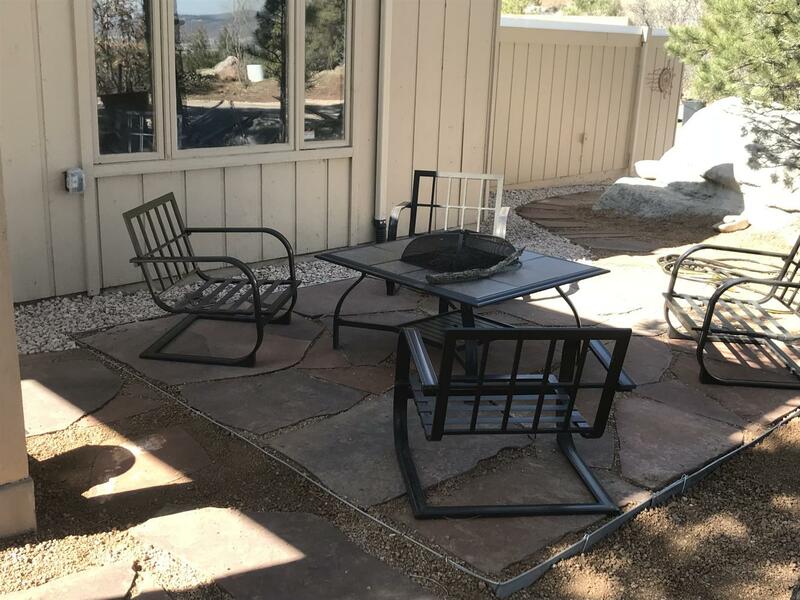 Monument Colorado Landscaping: This is an Arizona Buff Flagstone patio with Enviro-Sand as the grout material. 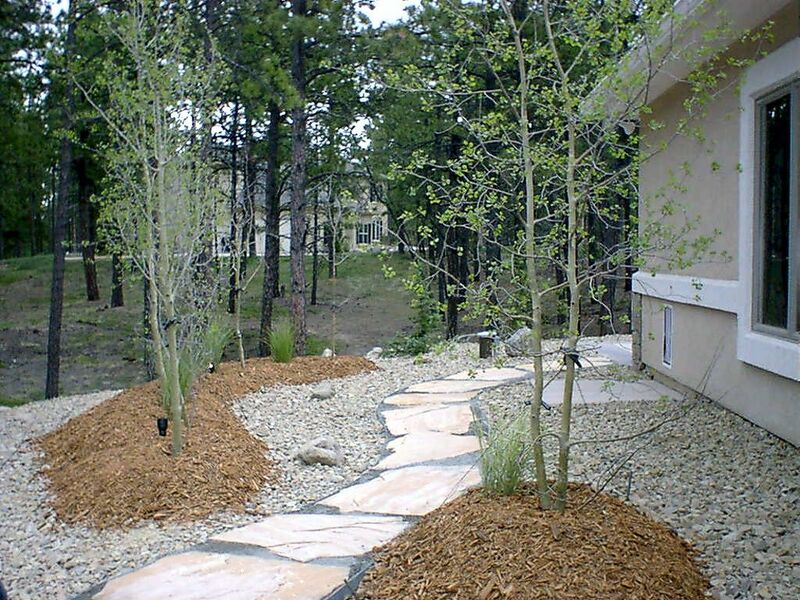 The segmental retaining wall is made out of Pavestones Oaks Blend and the mulch is "Gorilla Hair" cedar mulch. This was an extension of the lower patio and irrigated sod for the kids to play on.